If you're considering whether you should go freelance, what do you need to consider first? 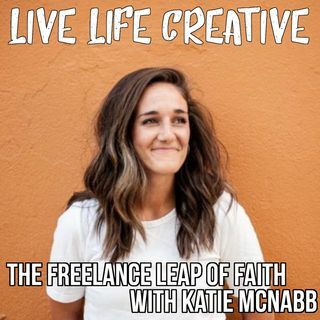 Before we jump into that, you can connect with me personally on Instagram, follow @livelifecreativepodcast, or find "Live Life Creative Podcast" on Facebook as well. We just hit 800 total downloads from all the episodes! Thanks for listening along and sharing it with your friends. You can also bookmark and click the Amazon affiliate link on the support page. Each time you make any purchase through the link, a small percentage of your purchase comes back to the show, at no cost to you.